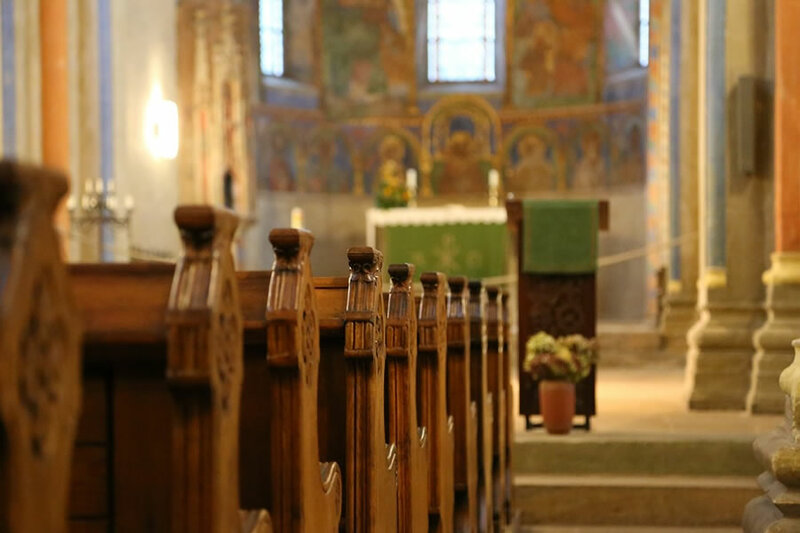 Why do Catholics genuflect in a Church? Court etiquette says we should show this respect to our King, pledging him our service. It is easy to “go through the motions” as Catholics, and one of the easiest gestures to forget the meaning of is the genuflection. Often we will find ourselves mindlessly walking into church, finding a pew and kneeling quickly on one knee before sitting down. We sometimes do it so much without thinking that when we walk down the aisle of a movie theater we end up genuflecting before we sit down for the show! So why do Catholics genuflect when they walk into a church? The gold box in a Catholic Church is sacred, set apart for a very special purpose. 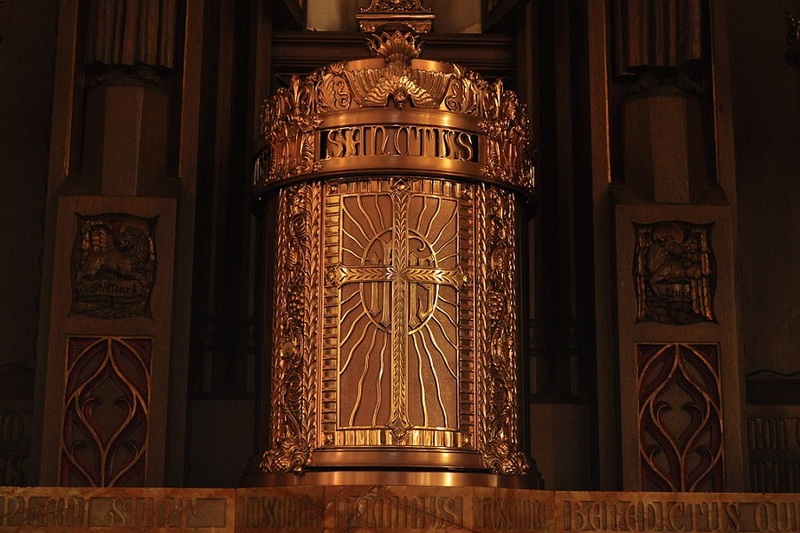 One of the primary and most distinctive fixtures of any Catholic church is a box or cabinet, typically made of gold placed in the front and center of a church. The exact shape varies, but you will most often find a red vigil lamp lighted next to it. As Catholics, we call the box a tabernacle and it contains the “holy of holies,” Jesus present in the Eucharist. Since my birth, I have seen the hand of Our Creator and the intercession of Our Most Holy Mother over me. I am Yamiris Marcano, born and raised in Puerto Rico. When my mother was seven months pregnant with me, she had complications of such a magnitude that they believed neither she nor I would survive. My aunt was a “Mission Helpers of The Sacred Helpers” nun. She, along with her congregation of nuns, came to the hospital and prayed with great fervor. They prayed for days to the Sacred Heart of Jesus and to a statue of Our Lady of Mount Carmel, holding scapulars in their hands. God listened to their pleas and my mother and I survived. The nuns decided to give us that statue of Our Lady of Mount Carmel along with their Scapulars. For this reason, I always have scapulars with me and give them to anyone who wants them. We are pleased to welcome our new Pastor, Father Kenneth Brighenti to St. Magdalen de Pazzi. 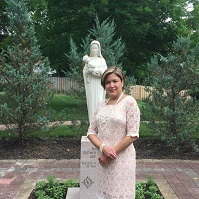 He arrives from Mount Saint Mary Seminary in Emmitsburg, MD., where he servedon assignment from the Diocese of Metuchen asDirector of Pastoral Field Education and Vice Rector. He was ordained on May 28, 1988 at the Cathedral of St. Francis of Assisi in Metuchen. Since his ordination, he served as Parochial Vicar in four parishes in our diocese from 1988 - 2000. 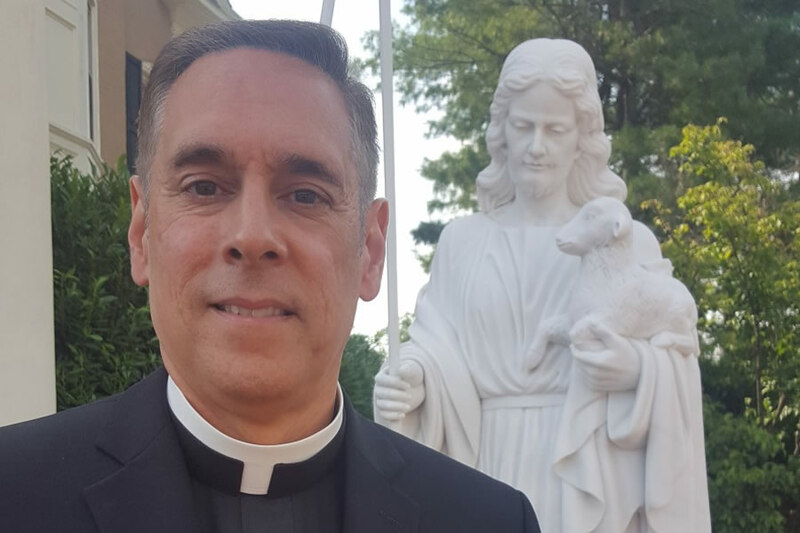 He became Pastor of St. Ann in Raritan in 2000 where he remained for nine years. Does it seem scandalous to admit this-that you could find spending time with God to be less than enthralling? Yet so it is. Boredom can often be a real stumbling block in attending Eucharistic Adoration. But have you ever asked yourself why silence, why not having something to do, why just being 'with yourself' is so uncomfortable? God not only speaks to us in beautiful thoughts and poetic prayers but also in our discomfort and…even in our distractions. Let Him speak to you by asking yourself these questions. By asking Him to reveal His truth to you. 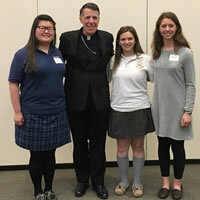 The Diocese of Metuchen sponsors a pro-life videocontest annually, invitinghigh school students tocarefully consider a particular pro-life theme.This year’s video themewas the “Power of One”and what one person cando to impact the Pro-Life fight. My youth group director Michele Beckman, knowing that Ihad participated in video contest before, mentioned the opportunity to me. I decided to give it a go and see what happened. There is a big difference between questioning God and asking questions of God. This difference is illustrated veryclearly when we compare Zachariah, the father of John theBaptist, with Mary. Both Zachariah and Mary were in shock when the angel Gabriel told them that miraculous births would take place yet Zachariah was struck dumb andMary was blessed among woman, why? Zachariah’s questioning, “How shall I know this?” (Luke 1:18) camefrom a place of disbelief, his posture was one of skepticism. Mary’s questioning, “How can this be?” (Luke1:34) arose from faith seeking understanding. Mary approached God in a posture of humility and genuine inquiry. Whenever we approach, God and questions arise inour hearts we need not be anxious or fear that these questions show a lack of faith. On the contrary, we canmanifest our trust in God by humbly waiting for Him tospeak and to respond to the deepest questions of our hearts. May we approach Jesus in the Blessed Sacrament with the faith of the Blessed Virgin Mary.